Dragon's being hunted by the dark magic shifters. of shape shifting, only she's setup to be far more. but she has the chance to set everything right. Celebrity Power! 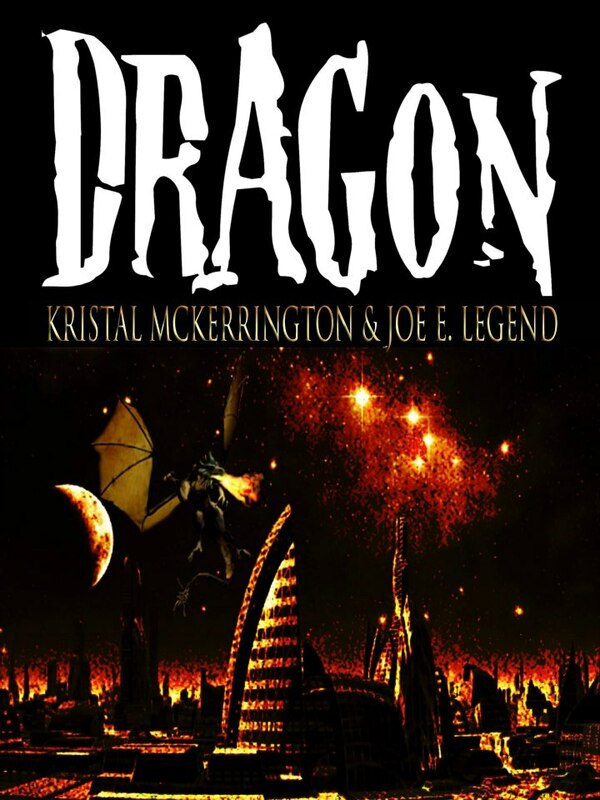 Joe E Legend and Kristal McKerrington are once again teamed up and creating a soon to be bestseller Dragon! Let’s get the early scoop on this up and coming book series and the prolific writers behind the words. Kristal McKerrington magazine & screen writer, best selling author, and has been featured on TMZ! Alex Graham: Please tell me a bit about yourself and how you got into writing. Kristal McKerrington: I'm Scottish. 24 years old and I'm an advert reader. I wrote my first short story when my Auntie came to see me and I didn't have anything to give her so I wrote her a story. Been writing ever since. Alex: You and Joe E. Legend have been working on a fantasy, action adventure called “Dragon”. Can you give the Celebrity English readership an early scoop on this soon to be bestseller? Kristal: Dragon is set to be published with Media Aria. It's as Joe my co-author refers to it as the martial arts version to Harry Potter. It's a lot darker though. It's good a lot of pressure resting on the heroine's shoulders. Especially when she suspects there to be evil in the school. Some of it is with the teachers. Alex: Kristal, you have a lot of experience in the writing field, and you have been a best selling author before. In your opinion, what is the hardest part about getting published? Kristal: The sending the submissions. It twists your guts up into a little ball. It's the worse feeling because you enter into limbo from that moment on. Alex: Thank you for the insight! What books have most influenced you in your life? Kristal: Catherine Cookson is my huge influence and Rachel Caine's work with Morganville Vampires is the other. Alex: Excellent and thank you Kristal! Now we are going to turn the interview over to Joe E Legend. TV & film star, and author! Alex: You have quite a diverse and fascinating background, can you tell Celebrity English about yourself. Joe E Legend: I'm a 23 year veteran of pro wrestling and before that I achieved 4 black belts in Karate and Kung fu in my home town of Toronto, Canada (I now live in Hannover, Germany with my wife, twin 5 year old son's and rabbit). I've wrestled in 43 countries around the world, had 2 TV series in the UK, been the lead villain in a graphic novel in the USA, appeared in films in Canada, France and the UK and now I've signed off to co-author several series of books as well as star in 6 films in various countries (Italy, France, Canada, USA, England, Scotland, Caribbean) all before the end of 2013. I've also signed a deal for a 3 book series for my autobiography. Alex: Fantastic! 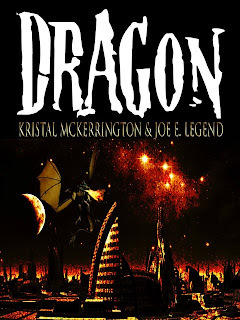 We already heard from Kristal about “Dragon”, latest novel you coauthored, how did you two or why did you two decide to start working together? Joe: I was sending out my resume everywhere and it wound up in Kristal's E-mails and she got in touch. She was talking about a possible movie or TV series (we're in the planning stages for those as well) and the subject turned to her being an author. Since wrestling is such a "story telling" form of entertainment, I wanted to have a crack at it and she was kind enough to bring me along. Alex: I think it is fantastic that 2 very prolific writers have coauthored this new thriller. What are the benefits of working with another writer or author on a project? Joe: Sometimes things seem REALLY cool in your head but once you try to explain them to others, you find it really doesn't make a lot of overall sense. Having someone invested in the same constructed reality you're invested in can ensure your ideas will land on others in the way you intended. Alex: Great point! Do you have any advice for writers just starting out? Joe: Find someone already doing it and learn, learn, learn. Success leaves a trail and all you really need to do is follow it. Find 3 people very successful in your chosen field (or genre) and find out what they all did in common. Do those things as well and you're almost certain to achieve a certain degree of success. Also... write. Everyday. Take the time to write your ideas down and see where they take you. A blank page will get you nowhere but a few ideas written down can inspire a great story. Alex: Absolutely! Excellent advice from Joe E Legend! Alex: These questions are for Kristal or Joe. What else do you two have on the way? My autobiography (title still pending) - 1st book August 2013, 2nd and 3rd book dates still pending. I also have many international wrestling tours in places such as India, South Africa, Hong Kong, Nepal and more. Alex: Wow! You 2 are keeping busy! Where can we buy your novels? Kristal: I believe Barnes and Noble will be having them available. Also WH Smith, Waterstones, and Amazon worldwide. Apparently libraries all over the UK are meant to be stocking it as well. There will be announcements closer to release dates on all the stores to buy and sites to order from. Alex: Kristal McKerrington and Joe E Legend, thank you very much for your time this week! I look forward to seeing Dragon on the bestsellers list! And you can quote me on that! Kristal and Joe: Thank you Alex and thank you very much to the reader’s of Celebrity English. Have a great weekend everyone! Alex: You too! All the best! 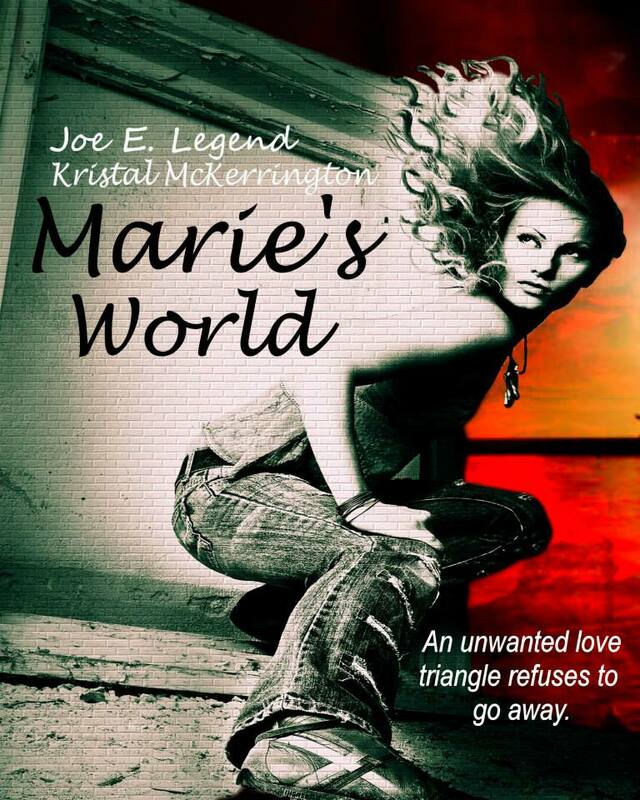 And until Dragon is released, check out this other fantastic book Marie's World by Joe E Legend and Kristal McKerrington! You won't be able to put it down! Awesome! Marie's World Joe E Legend and Kristal McKerrington! And I hope everyone had a great Canada Day and a fantastic US Independence Day! Natural Language - Vocabulary Boost! Instructions: Write down the meaning to all of the words and expressions below. For the words you don’t know, try to guess the meaning from the context. Next week I will post the answers but if you can’t wait until then, there is always the Internet. Enjoy! Write down the meaning to all of the words and expressions below. For the words you don’t know, try to guess the meaning from the context. Answers below. Dragon = a mythical animal usually represented as a monstrous winged and scaly serpent or saurian with a crested head and enormous claws (see book cover picture above). news reporters know about it. book series = A book series is a sequence of books having certain characteristics in common that are formally identified together as a group. Book series can be organized in different ways, such as written by the same author, or marketed as a group by their publisher. author = a person who has written something. The writer of a literary work (as a book). co-author = A collaborating or joint author. published = to prepare and produce (a book, magazine, etc.) for sale. heroine = the main female character in a story, play, movie, etc. submissions = an act or instance of submitting. An act of giving a document, proposal, piece of writing, etc., to someone so that it can be considered or approved : an act of submitting something [noncount]. enter into limbo = go into a state of uncertainty. On hold;not moving or neglected. influence = : the power to change or affect someone or something : the power to cause changes without directly forcing them to happen [noncount]. lead villain = A character in a story, movie, etc., who does bad things; main bad person. graphic novel = A graphic novel is a book made up of comics content. Although the word "novel" normally refers to long fictional works, the term "graphic novel" is applied broadly, and includes fiction, non-fiction, and anthologized work. It is distinguished from the term "comic book", which is used for comics periodicals. I've signed off to co-author several series of books = to sign off on something = to sign a paper, indicating that one has finished with something or agrees with the state of something. I've also signed a deal for a 3 book series = signed a deal Having a signature affixed: a signed document that creates a legal contract for a 3 book series. autobiography = a biography written by the person it is about. resume = a short document describing your education, work history, etc., that you give an employer when you are applying for a job. she got in touch = to connect or contact someone. entertainment = amusement or pleasure that comes from watching a performer, playing a game, etc. [noncount]. to have a crack at it = to try to do something although you are not certain that you will succeed. prolific writers = authors producing a large amount of writing. just starting out = just beginning; now starting or recently started. genre = is the term for any category of literature or other forms of art or entertainment, e.g. music, whether written or spoken, audial or visual, based on some set of stylistic criteria. Genres are formed by conventions that change over time as new genres are invented and the use of old ones are discontinued. Often, works fit into multiple genres by way of borrowing and recombining these conventions. achieve = to get or reach (something) by working hard. novels = an invented prose narrative that is usually long and complex and deals especially with human experience through a usually connected sequence of events. See the week of July 15th with more great stuff! Great writer and excellent post!